As manufacturers continue to advance electronic cigarettes technology and offer more customizations to products, Variable Wattage, Variable Voltage and Temperature Control have become some of the more desirable for vapers. To help new and old electronic cigarettes users understand the concepts and differentiate the three methods, we’ve answered some of the most commonly asked questions about Variable Wattage (VW), Variable Voltage (VV) and Temperature Control (TC) vaping. What Are Benefits of Variable Wattage and Variable Voltage Vaping? More or less vapor, depending on your preference. Stronger or lighter, depending on your preference. Certain eLiquids taste better on low voltage/wattage while others are best under high voltage/wattage. Differences Between Variable Wattage and Variable Voltage Vaping? Since Variable Wattage and Variable Voltage are both somewhat advanced vaping techniques, we’re not surprised there’s a bit of confusion differentiating the two. The answer is actually quite straightforward. While both techniques are meant to provide more power and adjust the vapor production in similar ways, the main difference between VW & VV is that VW is more streamline. To get an optimal vape from Variable Voltage e-cigarettes, users adjust the voltage based off of the resistance (ohms) of their coil. To get an optimal vape from Variable Wattage e-cigarettes, users select the desired wattage on their device and then the VW device will automatically adjust the optimal voltage — based on the user’s variable settings — providing a consistent vaping experience, based on personal preferences. Keep in mind, both VW and VV techniques are for advanced users and should only be undertaken if you’ve previously tinkered with MODs or PVs and truly grasp how much power is required. To better understand how wattage works and take proper precautions when adjusting, use our handy Ohm’s Law Calculator. How Do Variable Wattage and Variable Voltage Differ from Temperature Control Vaping? Ready to get even more advanced than VW and VV? 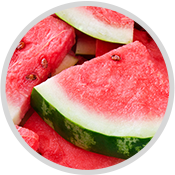 Temperature Control vaping offers a similar personalized approach - only with more fine-tuning. While Variable Wattage devices dynamically adjust according to the desired wattage and Variable Voltage require manual voltage adjustments, TC MODS and PVs require specific types of wire (nickel, titanium and stainless steel), which have unique properties that allow their resistance to change as they heat up. 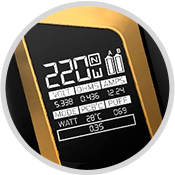 For an ideal vaping experience, TC users are required to know and understand the optimal wire resistance of their device. The regulatory chip within the device allows for it to assess the wire’s resistance, calculate for the necessary voltage range in order to heat up accordingly and maintain the requested temperature. If you’re considering Temperature Control vaping, read our detailed guide on When To Upgrade To Temperature Control Vaping . What’s Better - Variable Wattage or Variable Voltage or Temp Control Vaping? When choosing the optimal route for advanced vaping, Variable Wattage may be the easiest to use, but Variable Voltage or Temp Control Vaping still have their benefits. Since all options provide more power and customization than a cigalike or eGo battery, in all actuality, the choice comes down to personal preference. If you want an adjustable vape that’s consistent and easy to use. If you want an adjustable vape that requires fine-tuning based on the coil resistance. If you prefer an extremely personalized vaping experience and require a perfect hit every time (no dry hits). Now that you understand the differences between Variable Wattage, Variable Voltage and Temperature Control e-cigarettes, browse our full selection of Starter Kits or MODs and PVs to find your new favorite vape.